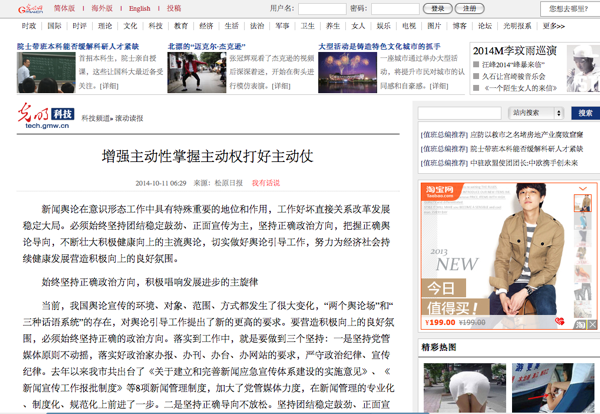 In the wake of revelations of alleged news extortion at 21cbh.com, a financial news website under the auspices of the 21st Century Business Herald newspaper, CMP fellow Zhu Xuedong wrote about what he called an “age of corruption” in China’s media. Describing the corruption practiced (apparently as a business model) at 21cbh.com, China’s official Xinhua News Agency used words like “shocking” and “unbelievable.” But for anyone who has closely observed the media landscape in the country over the past decade, these revelations are altogether unsurprising. As I’ve emphasized again and again, a combination of stringent media controls and commercial imperatives are primarily responsible for the worsening environment. The bottom line is that while Chinese authorities encourage media to go out and generate income, they remain hostile to good journalism and sound (and therefore valuable) information. I made the same argument again recently in “Who Warped China’s Media?”, in which I tried to show that even the official discussion of media corruption in China is blighted with a poisonous combination of money-worship and assumed political control. If Chinese authorities are serious in their efforts to grapple with media corruption, surely one of the most fundamental problems is that no-one in China is permitted to have a full discussion about the root causes of corruption. But hold on. Can we really assume the authorities are serious about media corruption? Do the recent purges and televised confessions really signal a renewed determination to tackle media corruption? I have my doubts. Let me show you why. If you’d begin by opening up Guangming Online, the state-run website operated by Guangming Daily, a newspaper published by China’s Central Propaganda Department. Now, if there’s any media interest that should run a tight ship from the standpoint of news and ideology, it’s the Guangming Daily. You wouldn’t expect a media group run by the Central Propaganda Department, the supreme authority on what content is proper or improper in China, to be crossing any lines. Guangming Online was created on January 1, 1998, one of the earliest news websites to be established inside China. Over the past ten years, Guangming Online has extended and brought into play the core values and traditional advantages of Guangming Daily, and it has a powerful impact in the cultural sphere, knowledge community and among web users. 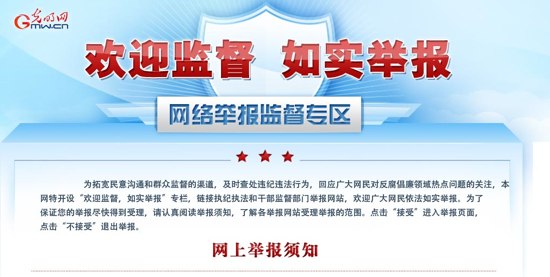 Guangming Online proclaims its sense of social and political responsibility right at the top of the site, with a button that allows readers to involve themselves in the policing of improper content, notifying the authorities of its presence. A special “inform” feature on the web portal operated by Guangming Daily allows readers to tattle on others. News, public opinion and ideology work are of particular importance. Whether the work is done well or poorly directly concerns reform and development and overall stability. We must throughout uphold the encouragement of unity and stability, putting positive propaganda first, upholding the correct political orientation, grasping correct guidance of public opinion . . .
And as I continued to read this verbose tribute to Xi Jinping’s renewed vision of the paramount importance of political control of the media and public opinion, my eye was drawn ineluctably to the side-bar where . . . well, here you go. I’ll leave it to readers to judge for themselves whether the linked content fits with the spirit of Guangming Daily. But make no mistake — this is all about the monetizing of the Guangming Daily Media Group’s ostensible public role. This online news page, with its bawdy juxtaposition of political hardlines and female softlines, sums up the status quo in China’s media perfectly well. Anyone who finds the content at Guangming Online offensive or distasteful might try sharing their views through the online “supervision channel.” But don’t hold your breath.